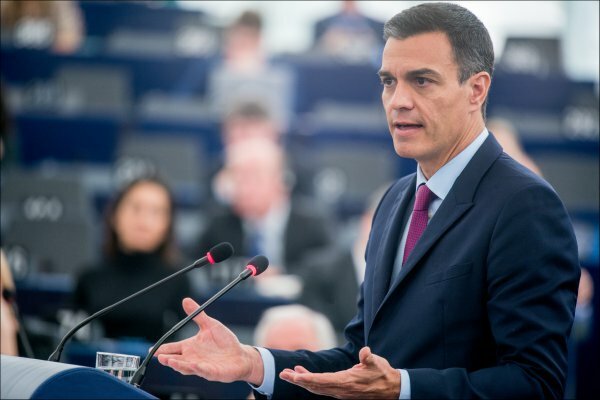 Pedro Sanchez, current Spanish Prime Minister, said that if a socialist coalition wins the coming legislative elections, they will put an end on all hopes for self-determination for the People of Catalonia. ‘No is no,’ Sanchez told a Socialist Party meeting at Zaragoza, in the northeast region of Aragon, ahead of the April 28 legislative elections. ‘If there is a socialist government, there will be no independence in Catalonia, there will be no referendum for independence and the Spanish constitution in Catalonia will not be violated -- that will not happen,’ he added. Sanchez's speech came after the socialists' leader in Catalonia, Miquel Iceta, said in a newspaper interview that 65 percent of Catalans wanted independence and that ‘democracy must find a mechanism to enable it’.